There are pieces of equipment out there that I have seen in action doing their job effectively and even demonstrating what their application is all about. In some of these cases, I may highlight the device and use them as a “poster child” for that application where I would use a photograph that I have taken of it to represent a piece of equipment that fulfils the application I am talking about. The device I am talking about in this example is the Naim NDX which is a high-end audiophile network media player made by one of the British names-of-respect when it comes to high-grade hi-fi sound. 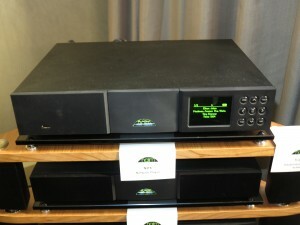 I have heard the Naim NDX network media player and its subsequent model, the NDS Reference Network Media Player in action whenever I have attended the Chester Group’s Australian Audio & AV Shows and this unit was one of the first devices that showed that music content delivered via a home network can be about high-quality top-notch sound. The first time I had heard this unit in action was at the 2011 show hosted at the Marriott Hotel in Melbourne. Here, this unit was connected to a demonstration network and playing Alan Parsons Project “Eye In The Sky” which was held on a Seagate GoFlex Home NAS and totally underscored for me the fact that you can use a standards-based NAS and top-notch equipment for file-based music. Previous to that show, I wrote “Serious About Music With DLNA” which underscored how the premium hi-fi names were implementing UPnP AV / DLNA technology to play out music held on your home network and the Naim NDX illustrated what this was about. This was a class of hi-fi equipment manufacturer who wouldn’t be ready to touch online or network-based audio setups unless they were totally sure that these setups were about top-notch crystal-clear sound. Subsequently, I attended the 2013 show held at Intercontinental Melbourne The Rialto hotel and had heard this same unit in action but working from a Naim UnitiServe music server which could be described as a “ripping NAS”. The photograph that represents this unit was taken during this occasion while it was playing Elton John’s “Tiny Dancer” recording from that media server. But what is the Naim NDX network media player about that draws my attention? This British-designed unit is totally designed by Naim to their ultimate hi-fi design standards with an emphasis on hardware upgradeability. For example, it is designed to obtain its power from Naim’s highly-strung specially-designed power-supply systems that are optimised to provide strong clean power to their components, but has its own power supply built to the same standard. The NDS “reference” model is even designed that it is only powered from one of these power supplies. The signal path that transitions between the digital form and the line-level analogue form is built around circuitry that would be equivalent to what would be in one of Naim’s standalone digital-analogue converter units. Personally, this same device ticks my requirements for a piece of network-based audio equipment. One of these is that it can work on an Ethernet network segment including a HomePlug AV segment thanks to an Ethernet connection on the back, as well as a Wi-Fi wireless network segment. This is to have it work with FLAC, WAV or similar audio files representing 24-bit 96kHz “master-grade” recordings that exist on your home network. 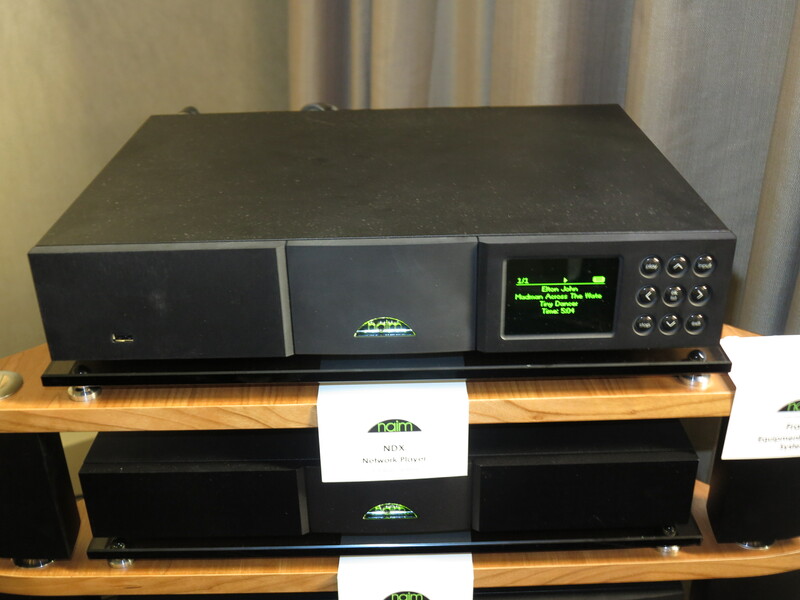 As well, the Naim NDX can discover music content on any UPnP AV / DLNA media server on your home network, something I have seen this unit do very well when I saw it in action at the Australian Audio and AV Shows. This unit satisfies the need for gapless playback for most codecs especially the lossless codecs so can handle most classical-music, live-concert or concept-album tasks. It also underscores the fact that the unit does handle the FLAC files very well and I have illustrated it as a “poster child” for the FLAC digital audio format. This is about placing importance on standards-based “open-frame” setup for network-based audio distribution. The NDX also can “pull in” Internet radio content from your home network thanks to support for the vTuner Internet-radio directory. It can also support Spotify Connect and the new Tidal online music service that is pitched for hi-fi listening. It is worth knowing that the Naim NDX network media player can work as a digital-analogue converter for CD transports, TV set-top boxes, MiniDisc decks and the like thanks to three SP/DIF connections – one in the form of an RCA coaxial connection, another in the form of a BNC coaxial connection and the third in the form of an optical connection. There is also a front-mounted “walk-up” USB socket so you can play a USB hard disk or memory key, or an iOS device full of music through the NDX. This also has the ability to accept content streamed from a Bluetooth-capable smartphone with support for the aptX Bluetooth-streaming codec. There is a BNC coaxial digital output to connect the Naim NDX to a digital amplifier, DAC or digital recorder but the line-level analogue connections are available as a pair of RCA sockets and a DIN socket. I have similarly called out the Naim DAC-V1 USB digital-analogue converter as an example of a top-notch hi-fi DAC that is expected to work with FLAC audio files when I mentioned that Windows 10 was to have native support for these files. 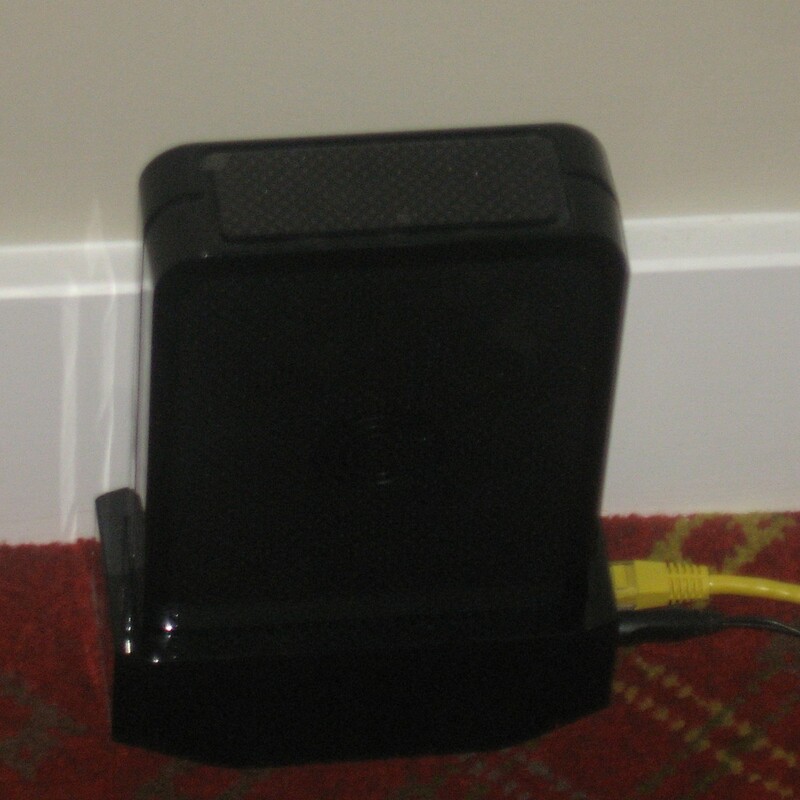 This use case was again highlighted at one if the Australian Audio and AV shows with this device serving as the sound module for an HP Elitebook 2560P and it ready to play through a pair of top-notch bookshelf speakers via a power amplifier from the same stable. It is another example where file-based audio content including “ripping” CDs or salvaging legacy media to network-based storage is considered a viable music content source that can be played using top-notch audio equipment.